About a week ago I got to go to a little Doctor Who event held here in Perth. 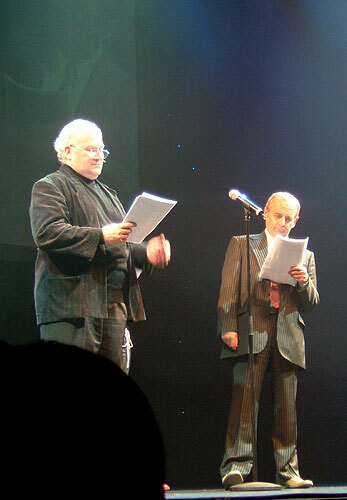 On stage were two former Doctors, Colin Baker and Sylvester McCoy along with a companion from the Jon Pertwee era, Katy Manning. It was followed by signings in the foyer. 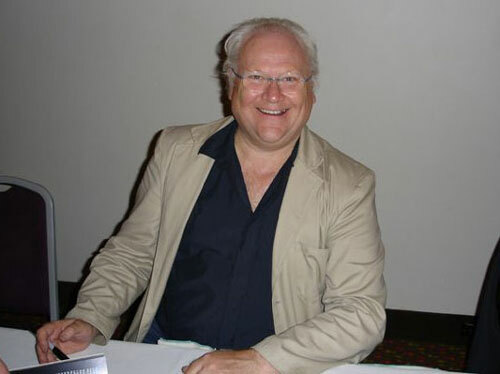 Colin Baker charming the crowds. Sylvester McCoy, signing my programme. The dynamic Katy Manning, who was enjoying herself as much as the fans. Treating the whole affair like she has the best job in the world. This entry was posted in Doctor Who, Older posts, Personal and tagged Colin Baker, Doctor Who, Katy Manning, Sylvester McCoy. Bookmark the permalink.